"The Bandire is a snowball throw from the main Le Fornet cable car, giving you immediate access to skiing, the skiing above the Col de L’Iseran and up to the Glacier de Pissaillas. The glacier is one of two places in the Espace Killy where you can ski during the summer, which indicates just how snow sure a resort this is. 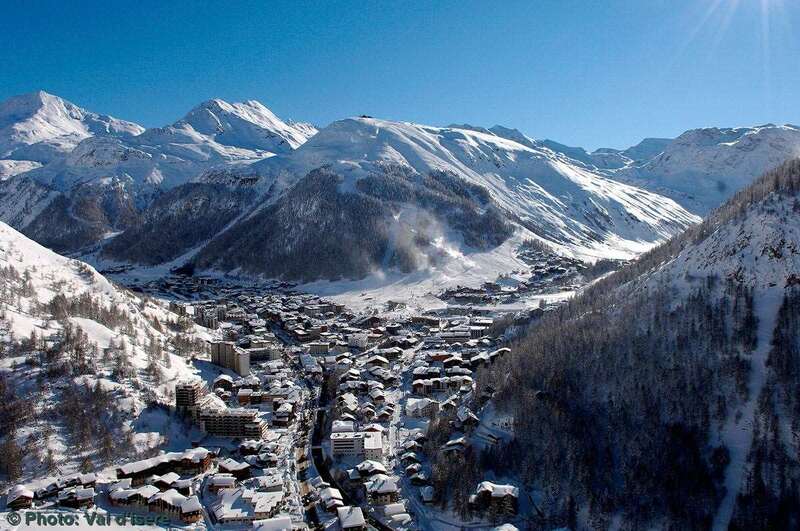 There is an efficient resort bus service to whisk you to Val D’Isere town centre from outside the chalet, for access to other lifts and for going out in the evening. The Bandire itself is a characterful chalet with an unpretentious interior, making a great base for a week in Val d’Isere." The Bandire is now a favourite for guests, with its absolutely prime location and comfortable interiors making a winning combination. Directly opposite the main Le Fornet cable car, only 30m from the end of the ski run and with a ski bus stop just outside for accessing other ski lifts and the resort centre, plus two good restaurants with 3 minutes walk, the Bandire is hard to beat for a perfectly located chalet. Traditionally built and attractively furnished, the Bandire makes a comfortable home and offers fully en suite bedrooms for all. Val d’Isère’s excellent resort shuttle service runs until midnight (2am during peak weeks), so après ski access to and from the centre, just a short ride away, is both quick and convenient. Immediately opposite main Le Fornet cable-car, only 20m! A chalet which was purpose built for letting to skiers. Heated boot room, and bus stop on front door with the Le Fornet lift across the road. Unlimited hot water some of the rooms more spacious than others with a spacious living kitchen area. Excellent all round chalet with no obvious drawbacks in an area which is often overlooked in the Espace Killy region.